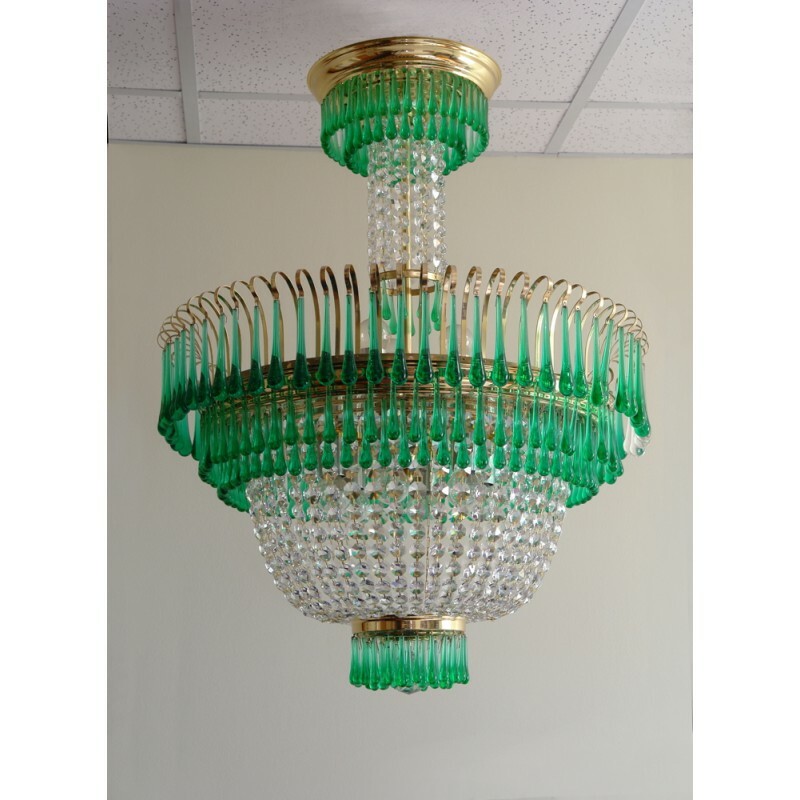 Chandelier Model 16-14, Pastorale Collection by ZAVADSKI, 9x60W (E14), 600x800mm, Polished Brass, Classic clear+Emerald (green) color Fantastic by Scholer Crystal Austria (precise machine cut crystal). Bespoke model, produced only to order. Price is approximate. Please, contact us for precise information.